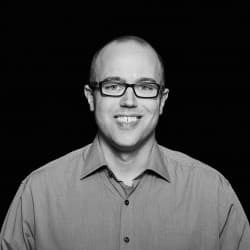 In this talk at RuhrJS in Bochum Bastian will make the point why Elm changes the way you develop web applications thoroughly and for the better. Elm is a functional reactive programming language that compiles to JS. Elm makes it easy to use the FRP style to build anything from simple websites to complex interactive applications in a clean and beautiful manner. The language focuses on developer happiness to make web development a delightful experience. Runtime errors just do not happen – ever! Thus you can focus on creating your app instead of hunting down bugs. If you are looking for a deep-dive into Elm, check out Bastian’s blog series „Elm Friday“. Here is the table of contents.